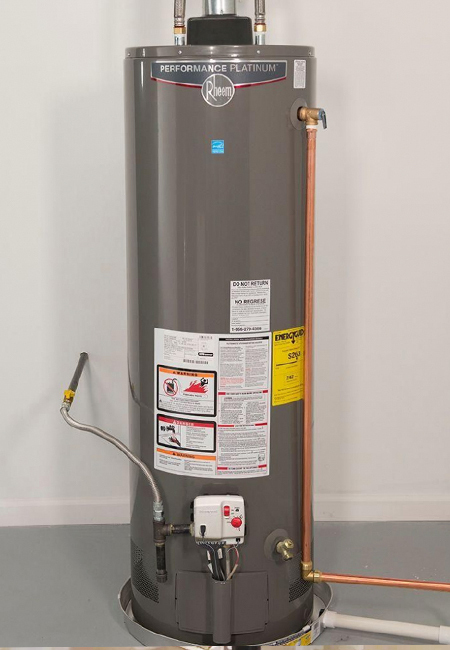 – Storage tanks are the most common type of water heater. These consist of an insulated tank in which water is heated and stored until needed. 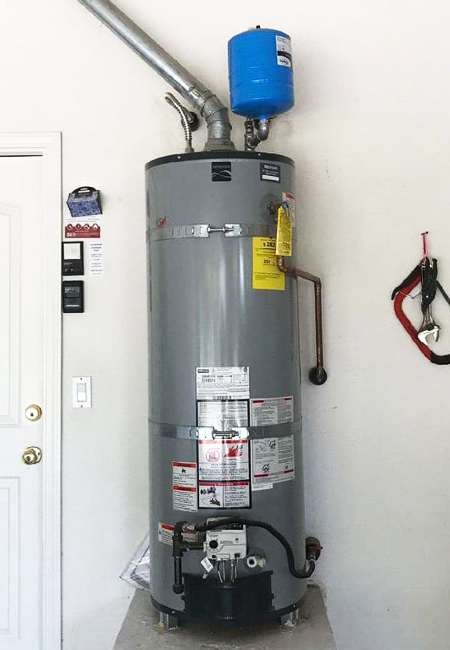 Gas water heaters typically use less energy and cost less to operate but are more difficult to install than electric water heaters. Conventional water heaters should be drained and cleaned a couple of times a year. – Water heaters are the second highest source of energy usage in the home. 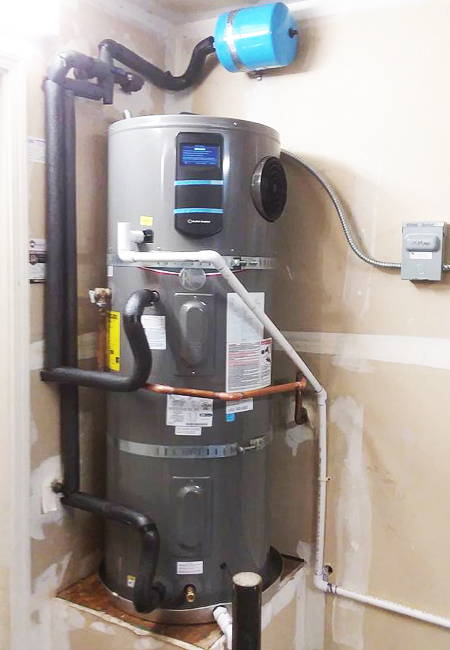 A new ENERGY STAR certified gas storage water heater uses 8 percent less energy compared to standard gas storage models. Those energy savings add up to big savings for the environment by helping prevent climate change. 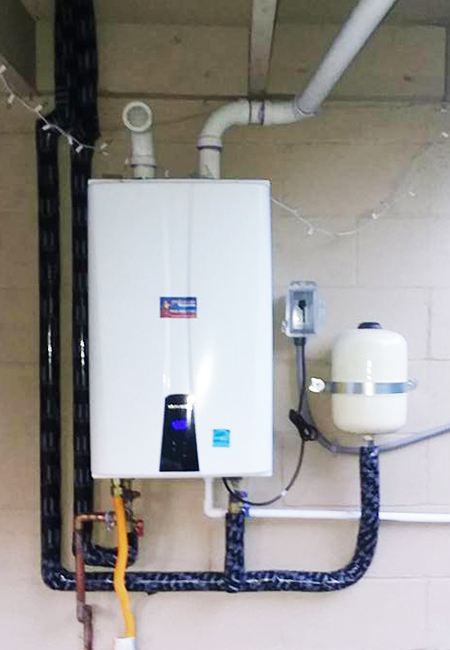 – are electric storage water heaters that are two to three times as efficient as conventional electric resistance units. Because they remove heat from the surrounding air, they are most effective in warm climates.  – heat water directly without use of a storage tank. 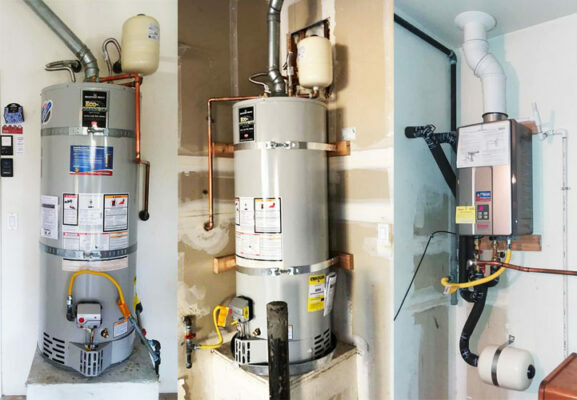 Tankless systems produce a limited amount of hot water – a 70F water temperature rise is possible at a flow rate of five gallons per minute through gas water heaters and two gallons per minute through electric water heaters. These are best suited for low – demand or remote applications. 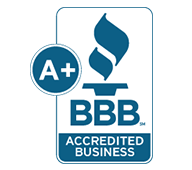 At Super Brothers Plumbing, our goal is to install your new water heater in a seamless, efficient fashion. We offer a wide selection of makes and models, and we\’re happy to help you choose the option to best suit your space and your needs. When you hire us for water heater installation, you\’ll benefit from our courteous, professional plumbing contractors and reasonable rates. 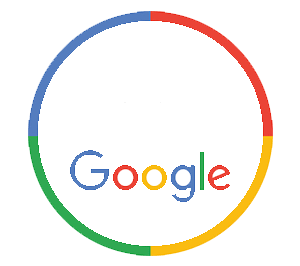 And we\’ll go out of our way to complete our work quickly without leaving a mess behind. 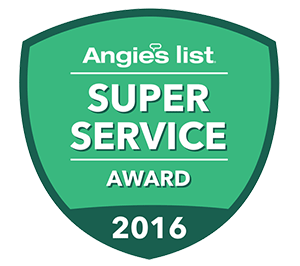 When you need water heater installation in Sacramento, CA, Super Brothers Plumbing is the team to trust. Call us today to schedule an appointment and discuss your options. Rheem Performance Platinum 40 Gal. 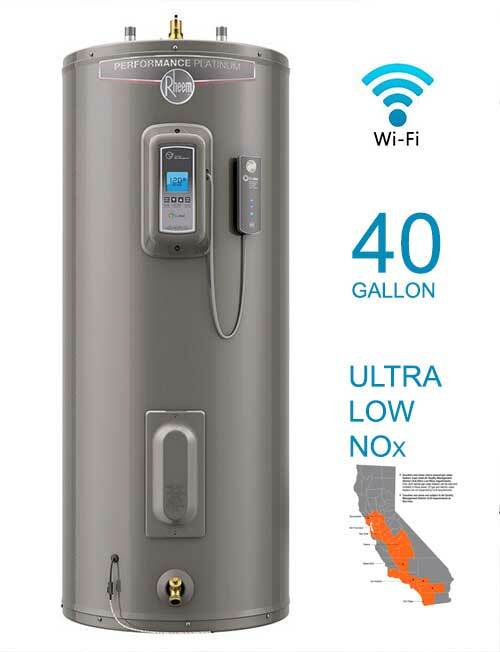 Tall 12 Year 36,000 BTU ENERGY STAR Ultra Low NOx Natural Gas Water Heater with WiFi Module. 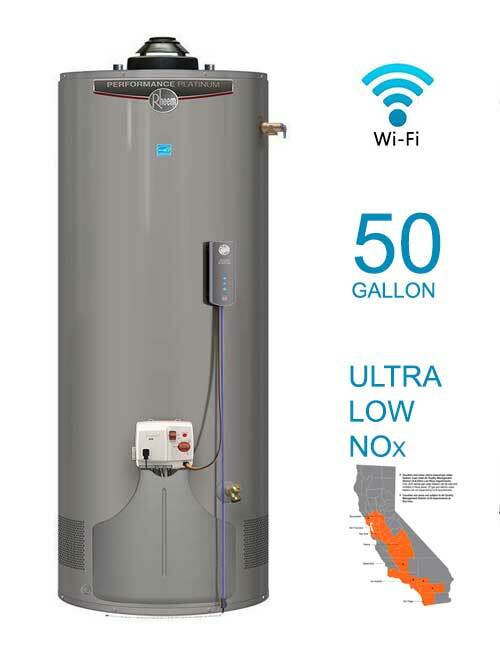 Rheem Performance Platinum 50 Gal.